In my early oyster tasting days, I employed a salinity rating system (1 being least briny and 6 being most) that did a decent job of providing a snapshot of what you might expect in a particular oyster. But there was a clear problem. There was no frame of reference for the rating. Whether it's a number or a word like "mild", "medium", or "high," at the end of the day, we're all still pretty much comparing apples to oranges. Depending on exposure and experience, I would suspect that definition of "briny" isn't the same as your "briny." Which means my idea of "brackish" is probably your idea of "medium saltiness." Maybe I'm a bit crazy, but the lack of a common yardstick drives me nuts! Recently, I noticed that some oyster farmers use water salinity levels to help quantify how briny their oysters are. It's nothing new or groundbreaking. This brief, yet intriguing article from The Washington Post written back in 2011 proves just that. 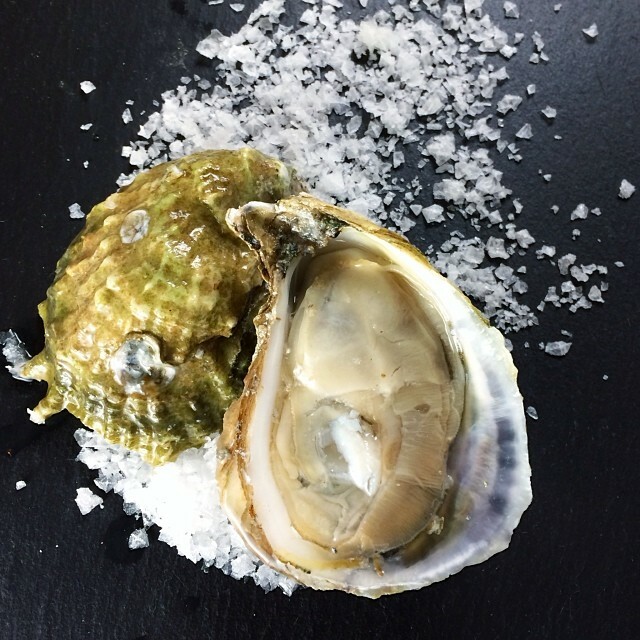 Knowing the water salinity is pretty important in oyster farming because it influences growth rate, disease resistance, and general viability in that area. Some oyster bars and growers are already sharing this info (either articulated as a percentage or ppt or "parts per thousand"), and oyster purveyors like Pangea Shellfish have made it into product spec. For me, I'd like to see it popularized across the board. But who would really give a shuck? Obviously anyone can enjoy an oyster without knowing the water salinity, and not everyone is going to care. But for those who are either crazy oyster geeky like me, it's interesting to dissect the nuances. Or for those who are completely unfamiliar with the salinity of the different regions, having that information can be helpful when making purchasing decisions. Furthermore, if we ever want to truly advance the appreciation and understanding around our country's unique oyster offerings—to the same degree as that seen in the wine industry—then a basic level of benchmarking should be instituted.